Years ago, smile makeovers involved multiple dental treatments over a period of several months. That’s no longer the case, thanks to same-day veneers. Same-Day veneers are ultra thin shells made of translucent that can be bonded to your teeth for cosmetic purposes. Extremely versatile and durable, same-day veneers are an excellent option whether you want a total smile makeover or need to cover a chipped tooth, mask a cracked tooth, or close gaps between your teeth. They require little to no prepping and can often be applied in just one dental visit! 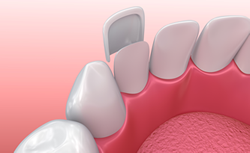 Although same-day veneers are made of the same durable porcelain as our crowns, a same-day veneer is an aesthetic treatment, rather than a restorative one. 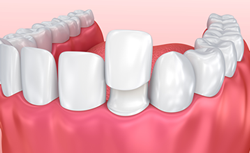 The purpose is to improve your smile's appearance while minimizing any alterations to otherwise healthy tooth structure. As a part of our same-day veneer treatment at our Decatur, GA practice will involve a private consultation with Abbas Haider, DDS. He'll discuss what you like about your teeth, what you wish you could change, and the types of characteristics that he can achieve by placing same-day veneers. Contact us today to schedule a consultation with our experienced dentist.